The other day we were at Starbucks, you picked up a magazine and leafed through it absentmindedly, periodically stopping to take a sip out of the Hojicha Latte set upon the table, equidistance from you and me. When the swishing of pages paused for a little too long, I barely noticed, until I felt the uneasiness of your eyes boring holes through the book I was holding. “Yeap, that’s me.” I quipped before snatching it over to snap a photo for my mother who’s still hung up over my drop out from Law School. “What is that.” She cooly replied. I want to be big in the industry. Big, as in you’ll be saying my name in hushed whispers big. Big, as in you’ll be envious of my life spent living aflutter and be jealous enough to leave spiteful comments on my Instagram, Facebook and Twitter. Big, as in big enough to pick up a random magazine on the news stands and either find my name in the mast head or as reference in a feature. The sad news is? I’m still frightened. Frightened of the gargantuan figures in the industry, of the interviews I have to attend and the small talk I have to make. I am inferior of the way I talk, the way I laugh and the way I hold my wine goblet when a toast is proposed. I hide behind my laptop, behind the false sense of security it provides me, pushing out words I carefully compose and artfully string into a melody. The sad news is? I’m not there yet. Not near, nowhere close. But it’s okay, because sometimes it’s fear that sets the heart ablaze and lights up the long winding road ahead. And I’m alright with that. 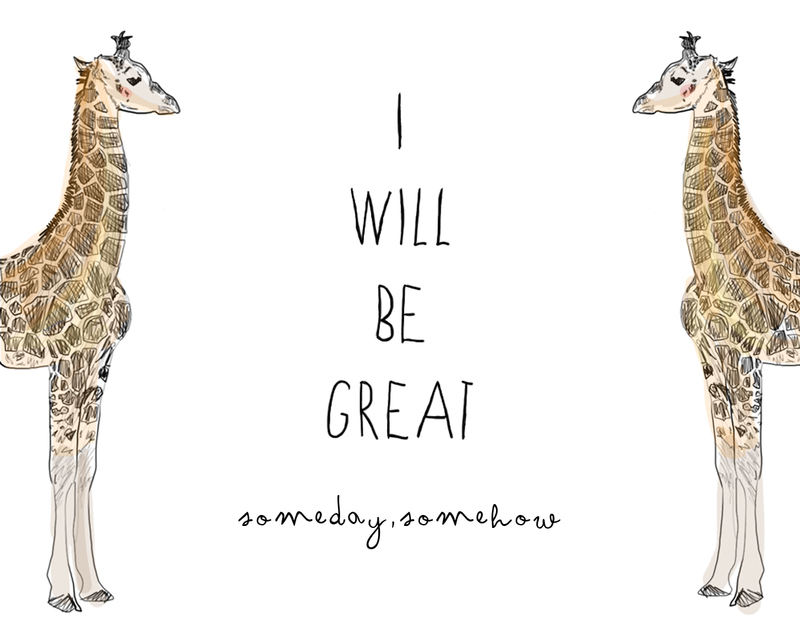 Some day, I will be great.